1887 FATIGUE BLOUSE. 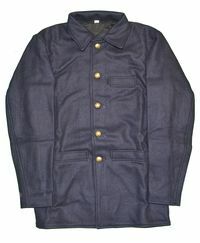 Lined with 3 pockets and 5 brass Eagle buttons. Specify size when ordering, Reproduction.